Arguably, the toughest phase for a startup is when the workflow begins to swell, necessitating the deployment of more resources, and creation of complicated cross functional projects. Deploying the right number of people with the relevant skill sets; breaking down the project into phases, activities, and tasks; monitoring, tracking, and reporting progress, and bridging gaps – all could prove too much for your small business. Thankfully, you have sophisticated yet intuitive workflow management software to salvage the situation. The best news – some of them offer sufficient privileges in their free versions to help you avail significant benefits without any investments. Here’s a detailed analyses of some of the most power-packed, intuitive, scalable, and wholesome software for effective team management, workflow management, workflow automation, collaboration, and time tracking. Freedcamp is among the most widely adopted and used workforce, workflow, and collaboration software, especially for small businesses looking to use their resources in the ideal manner. The free version last sufficiently long to pass on real benefits to businesses, and upgrades are exceptionally cheap. For instance, Google Drive integration to Freedcamp can be purchased just for $2.99. More critical integrations, such as a CRM module, can be purchased for reasonable prices as well. 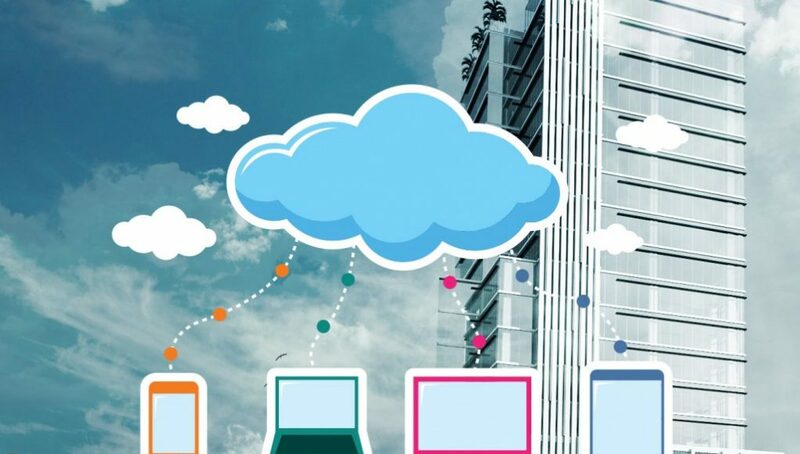 This modular integration option allows small business CIOs to selectively scale up and adopt better aspects of the complete software suite. 1. Sensational interface design that enhances productivity, endless features and functions that motivate employees to explore the software, and optimized for tasks based activities and projects, as well as Kanban styled workflow. 2. The software facilitates quicker communication through integrated communication tools. 3. With 200 MB storage space, Freedcamp is perfect for small businesses to adopt technologically empowered workforce and workflow management without the need to invest in more space upfront. 4. Users can upgrade to 1 GB storage space by paying just $2.49 per month. 5. Software administrators can leverage the powerful access management options of Freedcamp to limit authorizations of different members of collaborating teams. 6. Powerful time tracking, invoicing, and templates facilitate faster workflow and accurate reporting. 7. Subtle yet instantaneous notifications help keep users updated, without interrupting their workflow. 1. Although the website is optimized for hassle free mobile access, there’s no dedicated Freedcamp app for mobile phones yet. 2. Gantt charts are conspicuous by their absence in this otherwise wholesome business management software. 3. Handling multiple milestones, subtasks, recurrence, and task dependencies are some of the missing features that users could see being added in the Freedcamp suite in the future. 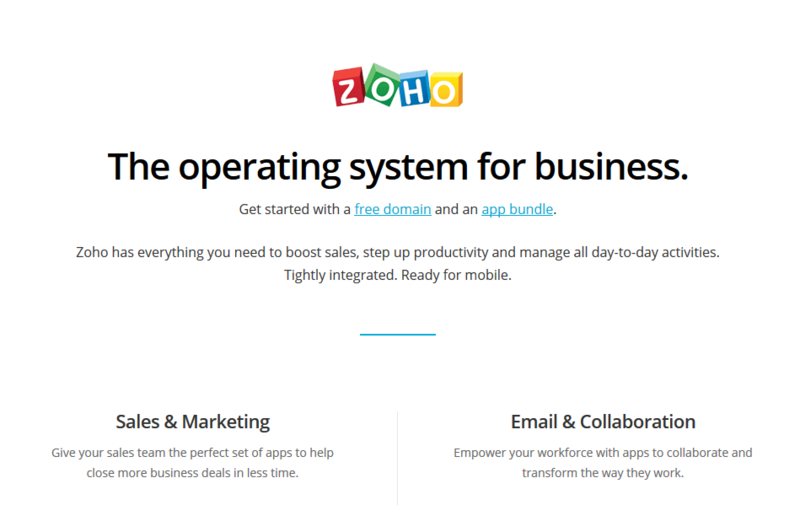 Zoho Projects’ intuitiveness is among its USPs, to the extent that workflow and collaborative software reviewers call it the Facebook of its application category. Here’s a quick look at what sets it apart from others. 1. Setting and tracking progress on complicated tasks is simple with Zoho Projects, because of its superb Gantt charts options, which also make it a favorite for small businesses that have adopted waterfall models of operations. 2. With 50 preset reporting templates to choose from, managing individual and group progress son tasks, and keeping track of expenses becomes a breezy affair. 3. You can create your own reports and leverage Zoho to monitor, record, and update progress on assigned tasks for individual team members. 1. The storage space is limited to 10 MB in the free version; you can always go for the premium plan to overcome the space barriers. 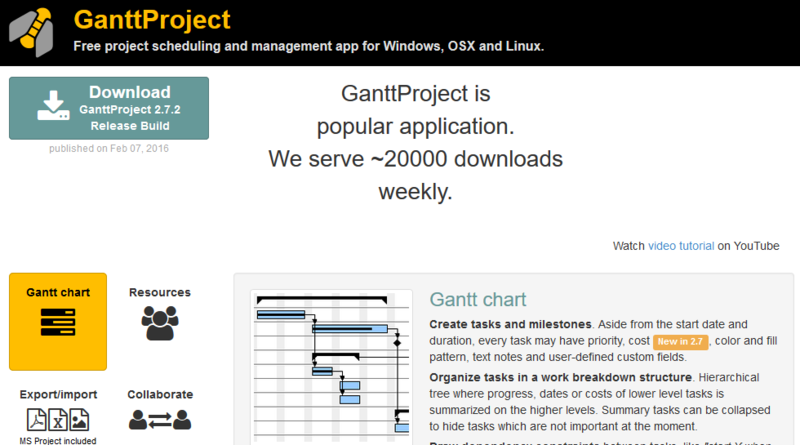 Often compared to Microsoft Project in terms of its expansiveness of features, and the rather steep learning curve, GanttProject is ideal for growing businesses that are looking to scale up assembly line processed through minute tracking and process improvement. This heavy hitting, high impact, open source tool for project scheduling and workflow management allows project managers to structure and schedule complex projects within a few hours. Generating PERT and Gantt charts, creating PDF and HTML reports, handling complex time management and scheduling tasks – all is easily manageable using GanttProject. 1. Creating a project schedule is as simple as A B C when you use GanttProject, whether you’re looking to structure milestone based projects, or want to break up complicated project phases into tasks and allocate them to resources. 2. The precise and configurable reporting options help project managers track progress in a very precise manner. 3. GanttProject is ideal to identify missing links and excess links in process chains; no wonders, project managers use it to identify gaps in workflow, thus paving the way for process improvements and operational efficiency. 1. Make no mistakes, GanttProject is not your cute and beautiful team and workflow management software; it has a steep learning curve. 2. Project managers with experience in working with MS Project or similar management software are more adept at using GanttProject to the maximum extent, although not all small businesses might have in-house expertise that’s necessary to use this package in the best manner. Prioritization is the success mantra of world beaters, and now there’s a tool to internalize the art of prioritization for your work, and it’s Week Plan. 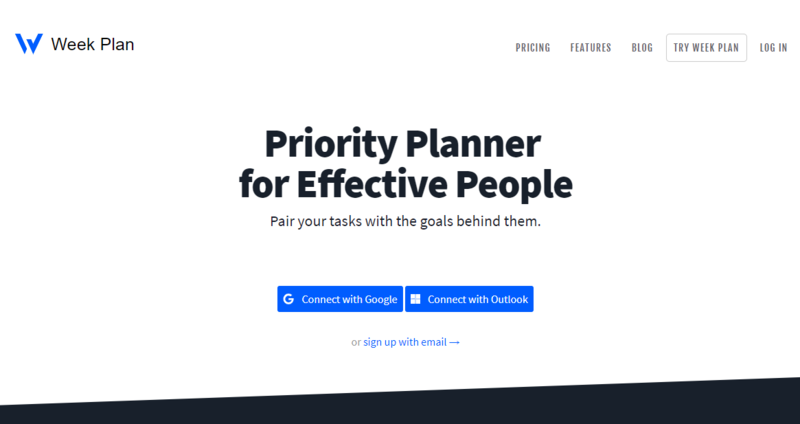 The tool differs from the umpteen other productivity tools in the sense that ‘prioritization’ is at the core of everything you do using this tool. Book your time for the most important tasks, identify tasks of maximum importance and urgency amidst clutter, make use of several roles for wholesome work management, do what matters, and divide your seemingly endless work into weekly schedules, for better management. It’s integrated with your calendars, is accessible on your mobile devices, helps set up and manage recurring tasks, and lets you manage a team using features such as comments and notifications.